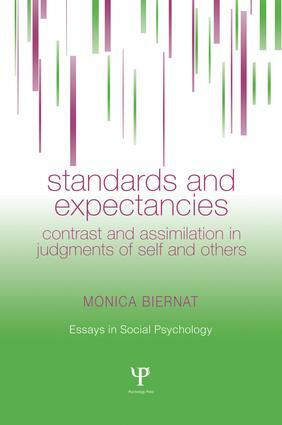 This book examines how standards and expectancies affect judgments of others and the self. Standards are points of comparison, expectancies are beliefs about the future, and both serve as frames of reference against which current events and people (including the self) are experienced. The central theme of the book is that judgments can be characterized as either assimilative or contrastive in nature. Assimilation occurs when the target of evaluation (another person, the self) is pulled toward or judged consistently with the standard or expectation, and contrast occurs when the target is differentiated from (judged in a direction opposite) the comparative frame. The book considers factors that determine whether assimilation versus contrast occurs, and focuses on the roles of contextual cues, the self, and stereotypes as standards for judging others, and the roles of internalized guides, stereotypes, and other people for judging the self.